We consider a model nilpotent convex problem with two-dimensional control from an arbitrary convex set Ω. For the case in which Ω is a polygon, the problem is solved explicitly. For the case of an arbitrary set Ω, we completely describe the asymptotics of optimal trajectories and the geometric properties of the optimal synthesis. 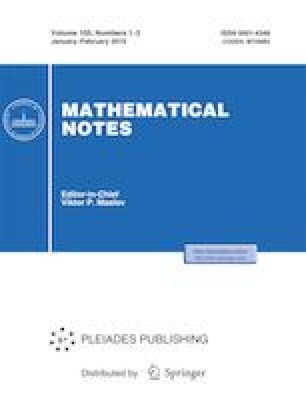 Russian Text © L. V. Lokutsievskiy, V. A. Myrikova, 2019, published in Matematicheskie Zametki, 2019, Vol. 105, No. 1, pp. 42–64.